This Goodyear Winged Foot die cut porcelain letters measures 47″ by 18″ in total. The sign is blue porcelain and all the letters are hung separately. 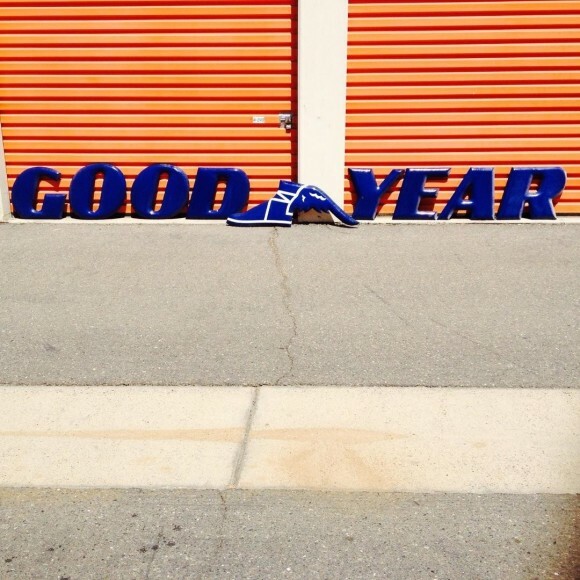 The text says “Goodyear” when spelled out.